Corsica and Balearic Islands recognized as areas under containment, option for the Member States to authorize the planting of host plants, possibility to reduce the width of the buffer zone up to 1 km, stricter requirements (such as the plant passports) for the movement of plants within the European Union. These are some of the amendments of the Decision (EU) 2015/789 adopted by the European Commission after research, surveys and collection of data on the spread of the bacterium in Europe. On December 14, 2017 the European Commission adopted the Implementing Decision (EU) 2017/2352, which amends the Decision (EU) 2015/789 by introducing new measures and provisions to ensure a more effective approach against the further introduction and spread within the European Union of Xylella fastidiosa. The experience gained with the application of the Decision (EU) 2015/789, the scientific evidence reported by EFSA, and the data gained from the surveys conducted in Corsica (France) and in the Balearic Islands (Spain) prompted for the amendment of some measures. -The region of Corsica (France) and the Autonomous Community of Balearic Islands (Spain) are now included in the list of the infected zones (Annex II); in these regions likewise in the demarcated infected area of Apulia (Italy), instead of eradication measures (art. 6), the containment measures set in article 7 apply. – Planting of host plants in the infected zones under containment (except the 20km area adjacent to the buffer zone) is granted. Based on the amended Article 5, the Member States have the option to authorize the planting of host plants within the infected zones, giving preference to host plants belonging to varieties assessed as being resistant or tolerant. – The width of the buffer zone can be reduced from 10 km to 5 km and, in case of high degree of confidence that the initial presence of the specified organism did not result in any spread, to 1 km. – Surveys within the buffer zones shall take into account the level of phytosanitary risk. Therefore, it shall be based on a grid split into 100 m × 100 m squares in the proximity of the infected zone, and on a grid split into 1 km × 1 km squares within the rest of the buffer zone. 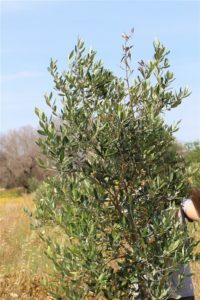 – More strict requirements have been set for the movement of the pre-basic materials, produced under the derogation from the insect-proof growing condition, and to the movement of plants for planting of Coffea, Lavandula dentata L., Nerium oleander L., Olea europaea L., Polygala myrtifolia L., and Prunus dulcis. The propagating materials shall be subjected to visual inspections, sampling and molecular testing and their movement within the Union territory shall be accompained by a plant passport.